The US Department of Health and Human Services announced on new guidelines on 1 August requiring private health insurance plans to cover several women’s preventive services, including birth control and voluntary sterilization. 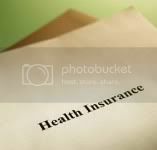 Beginning in August 2012, birth control will be considered a preventive health measure under the Affordable Care Act’s list of services that must be covered by health insurers. Also included on the list of preventative services are free screenings for gestational diabetes and the human papillomavirus (HPV), breastfeeding support and counseling on sexually transmitted diseases. The full list is available on the Department of Health and Human Services website. Women’s rights advocates were quick to cheer. “Too many times, I have seen women who became pregnant when they didn’t want to because their insurance failed them – by limiting them to contraceptives that weren’t right for them or refusing to pay for any form of birth control,” Nancy Stanwood of Physicians for Reproductive Choice and Health said in a press release. WVoN comment: This makes sense given the recent right-wing attacks on Planned Parenthood and abortion rights in the US: however I wonder if birth control is free if you don’t have health insurance?